Today dear friends we have for you a very interesting and very fun game from the Masha and the Bear games category, in which dear friends you will have the chance to se which are the funniest and Mashaâ€™s favourite toys. 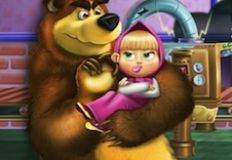 In this new online game, you will see that Masha will want to have a very interesting and very fun toys party here on games-kids.com, but for that she will need a lot of toys to make the party, and so you will have to help her. 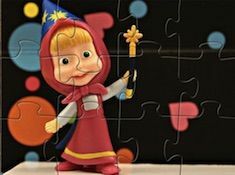 Your mission in this game will be to help Masha have the most interesting and fun toys at the party, so you will have to create and decorate more and more interesting toys for Masha. 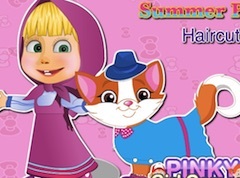 You will have to be very creative trough the whole game, because this is the only way that you will be able to help Masha have the most interesting and fun toy party here on games-kids.com where we are sure that she will return with more interesting and fun games that you can play with all your friends. Have fun!